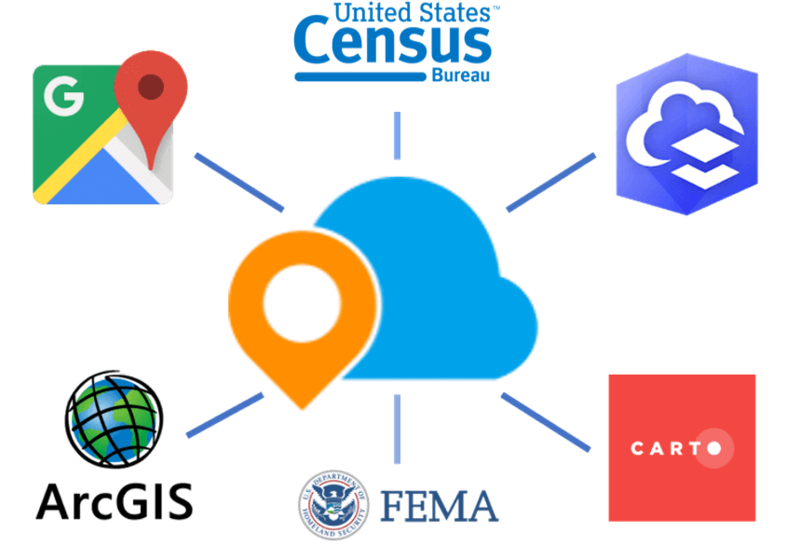 Pull in data from a variety of sources, including state/local data, CAMA/permitting tools, and federal sources like US Census and FEMA. Consume and combine data from the GIS software platforms and database systems that you are currently using. With MapGeo, your data can be shown layered on a variety of Google base maps or custom base maps of your choosing. MapGeo includes: Google Maps, Street Views, Terrain Views, and imagery. 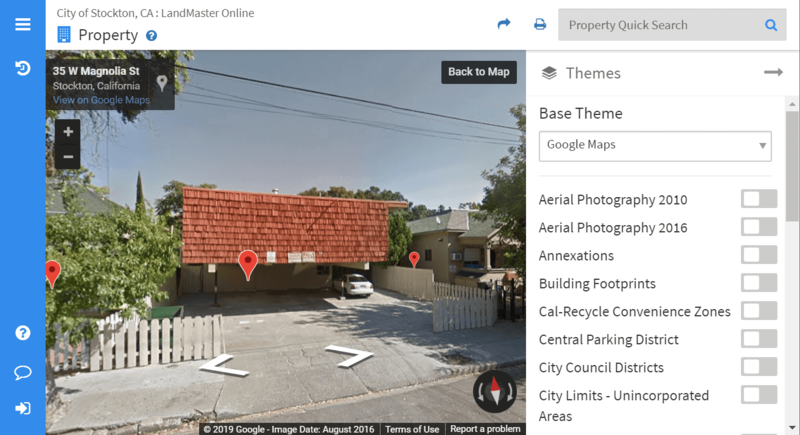 MapGeo has further customized the Street View experience for direct access to property information. AppGeo is a Google Cloud Premier Partner. MapGeo uses the power of CARTO to publish your local authoritative data giving you control over cartography. Our team helps you to design the map representations that match your existing cartography or meet other requirements for data visualization. 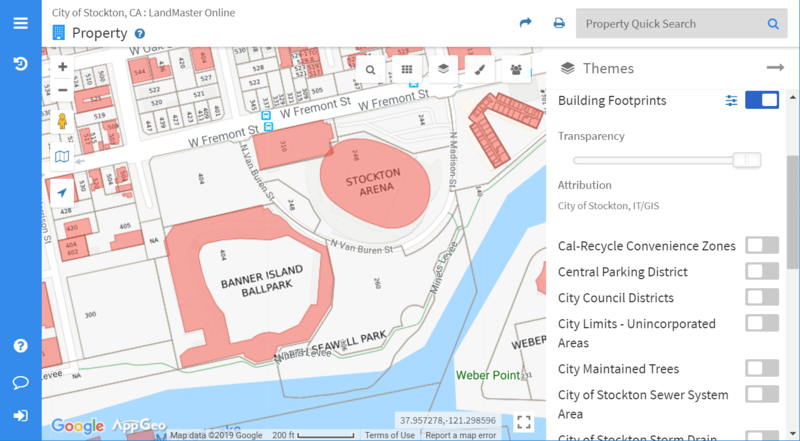 Import data from ArcGIS Online, and access ArcGIS and Arc Server APIs and web map services. 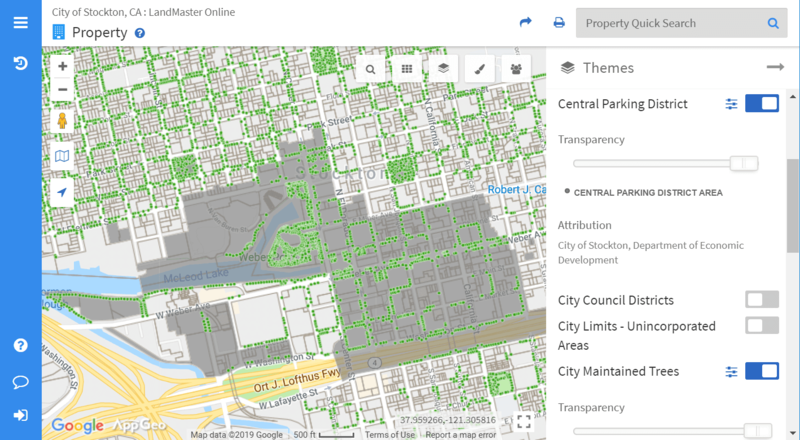 You can maintain your data using the Esri platform and empower your workforce, residents, and local businesses using MapGeo. 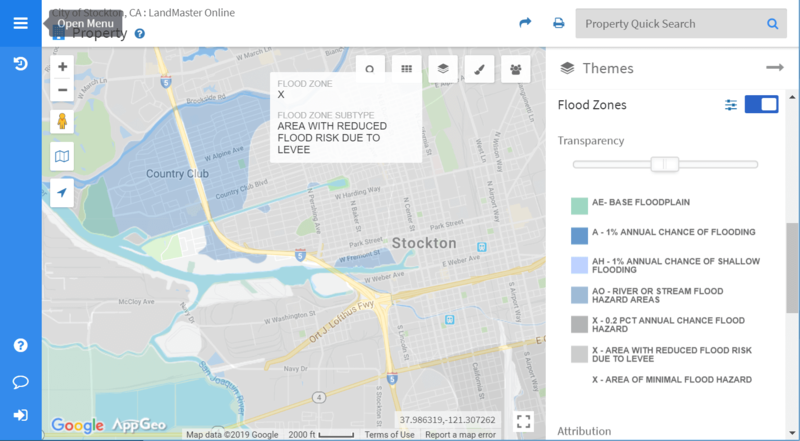 MapGeo incorporates third party data from state and federal sources, such as FEMA or the US Census, allowing you to combine and overlay data to create more context for geographic analysis to answer key questions. 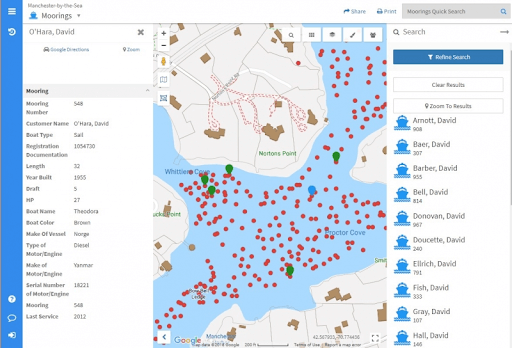 MapGeo utilizes WMS and WMTS services. MapGeo’s REST API allows for data that is frequently updated to be pulled and displayed. 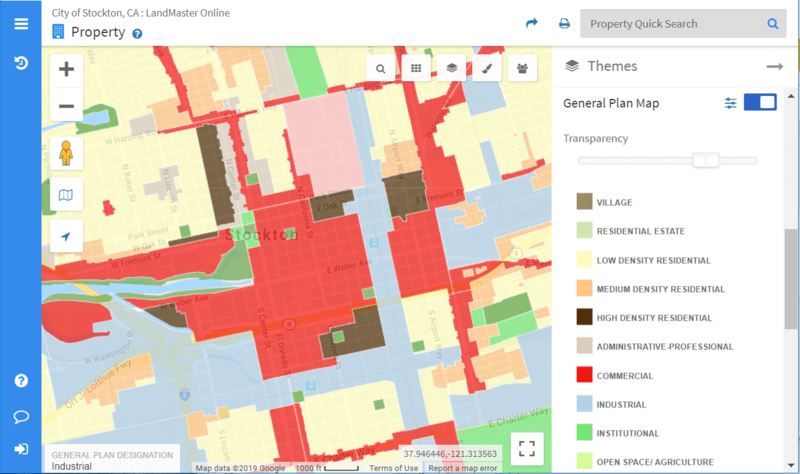 MapGeo also supports most CAMA and permitting tools (including Vision and Accela). It’s never been easier to layer and visualize data from all or any sources. MapGeo supports all of these vector files: .shp, .kmz, .gdb, .mdb, .lyr, .osm, .e00. CAD files like .dgb and .dxf are also supported. MapGeo also supports open source technologies like GeoServer, Leaflet, Ember.js, PostgreSQL, and Node.js.